Looking for a super easy and cute homemade Mother’s Day gift ideas? 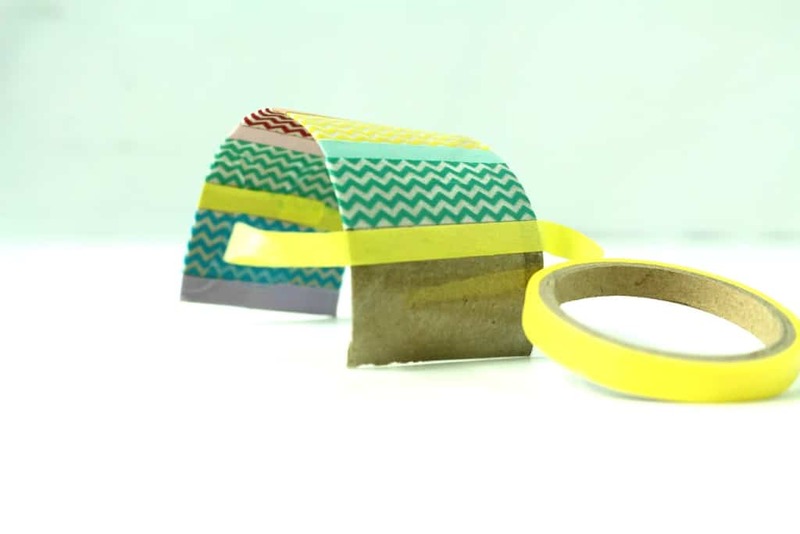 this Washi Tape cuff bracelet isn’t just stylish, it’s inexpensive to make and takes very little time to pull together. Make one for your own mom or hand the supplies over to your daughter and let her get creative with a beautiful Mother’s Day gift for you! Check out the details on how easy it is to make! 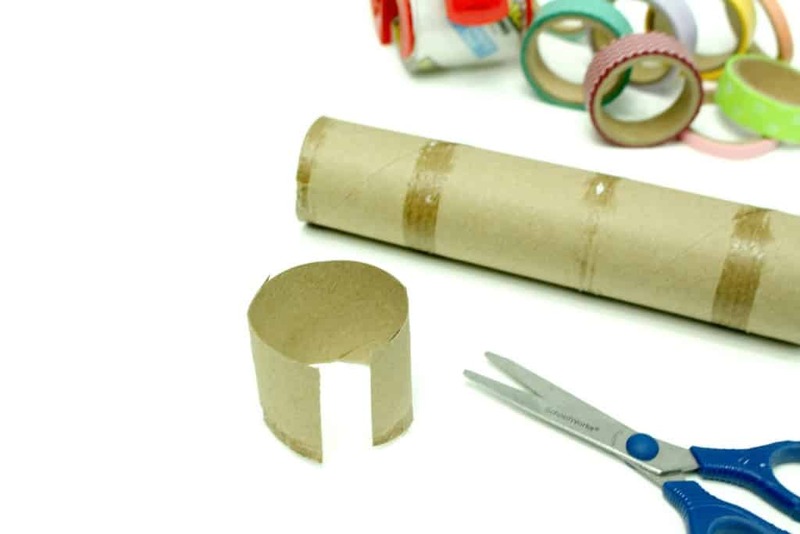 Step 1: Cut a piece of the paper towel tube approximately 2 inches. wide and make a cut so that it can come apart. Step 2: Cover both sides of the cuff with heavy duty tape. And trim the excess tape on the edges with the scissors. Step 3: Start wrapping the washi tape around the bracelet and let it the two ends meet in the middle on the inside of the bracelet. Step 4: Keep adding tape in sections across the bracelet until you get to the end of both sides. 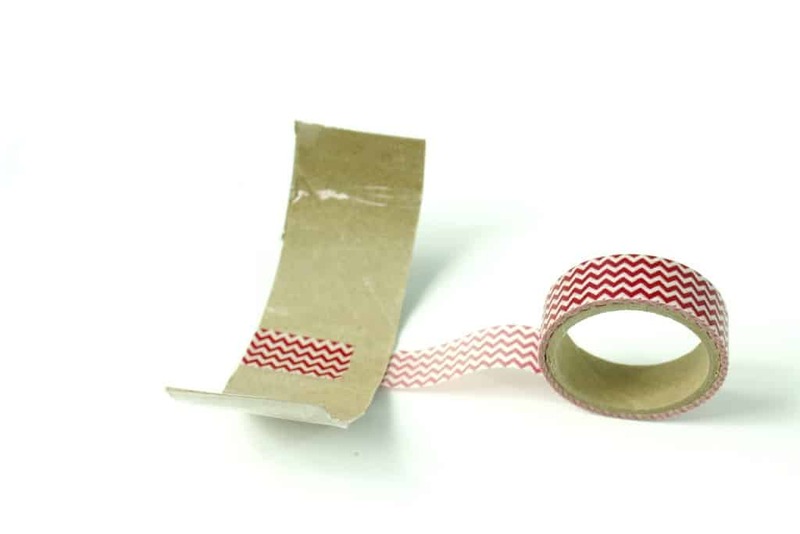 Trim excess tape from the ends. That’s it! Now you have a beautiful handmade Mother’s Day gift idea that she’ll love! You can find so many different colors and patterns of Washi tape, so go ahead and create one for every day of the week if you want! Of course, if you love crafting, you don’t have to wait for someone to make you one! You can always make your own too! 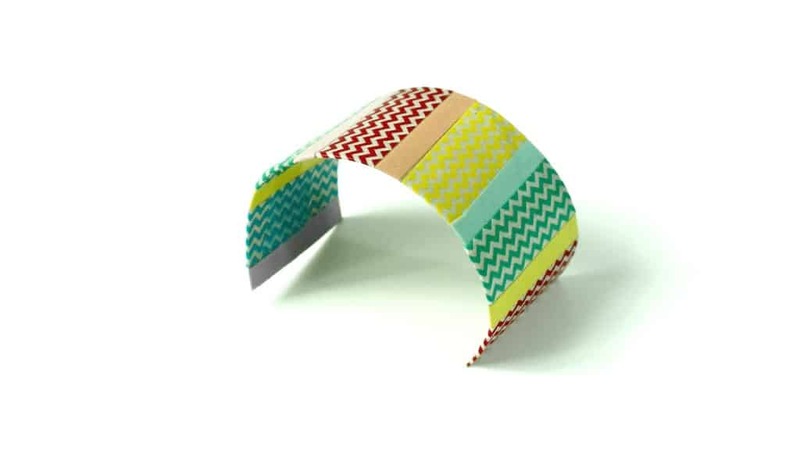 What do you think of this washi tape cuff bracelet? 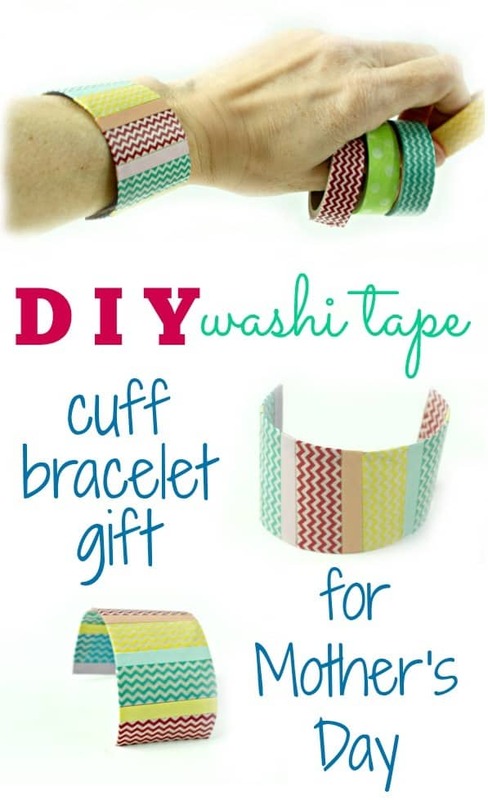 What have you made with washi tape? Jenny Temcio is a mother of three, wife to one and friend to all. As a Type A personality with a Master's Degree in Elementary education and a passion for crafts she is passionate about helping busy moms make the most of their extraordinary lives. She enjoys blogging at jenny at dapperhouse and working as a feature blogger around the web. This is adorable! 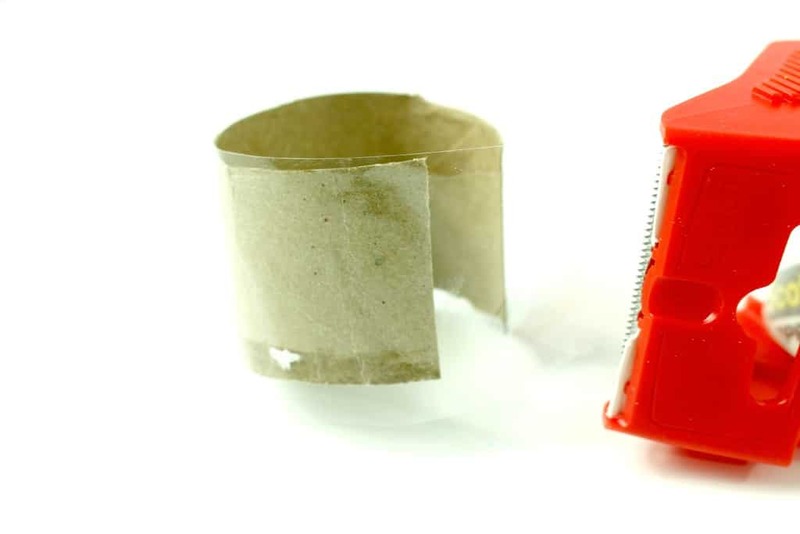 I am going to get some tape and start saving up TP rolls to craft at work. I can’t believe it’s from a cardboard tube! It looks so polished! I had no idea that Washi tapes could be put to such a good use. A great idea for a Mother’s Day gift – keeping in mind the amount of love in making it. Just be careful with the scissors, children. I have never used this tape and have been wanting to try it for quite some time now. That is such a smart idea! 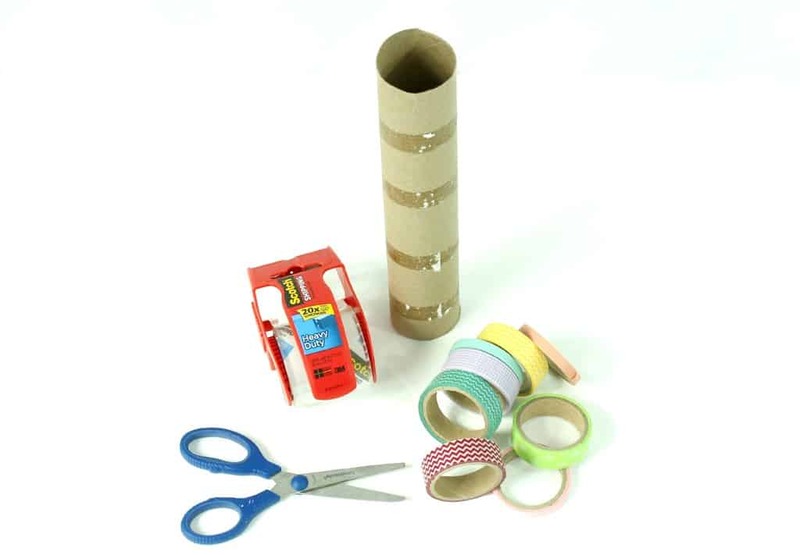 I need to get my son to try crafting with washi tape. We have so much of it! My daughter would definitely love this and give it a try. She’s my crafty girl. what a great idea, I have tons of TP tubes just waiting to be used!! This idea is genius and I’m jealous I didn’t think of this first haha. This is such a fun craft, I think my son and I will make some today for grandma (what can washi tape NOT do?). I think this would also be fun for a girl’s birthday party craft. Cute idea! This is a cute craft idea for a kid! What can’t you make with washi tape?? 🙂 That’s a cute bracelet, and a fun way to use the tape. I have never heard of Washi tape til recently and what a fun idea! This is an adorable idea! I love washi tape and am always looking for new uses for it! This is such a cute idea! I’ll have to drop a hint to my husband for my son do it with him. I am obsessed with washi tape! What a creative way to use it! What a cute idea for kids to make for their moms. You could get pretty creative with designs with the Washi tape too. That is really cute and so fun! I love Washi tape – it makes things so pretty. Washi tape is so darn useful! I love that bracelet. It’s super cute! Aww perfect for Mothers Day! I would wear it proudly! I love upcycled gifts and this is super cute. I am new to the whole washi tape thing, but it looks realy fun to work with. Oh wow my son would love to make this for grandma. It looks easy and fun. What a cute idea! Will have to do this with my niece. This is such a cute DIY gift idea for Mom’s and Grandma’s! I think I’ll sit down with my girls to make a few for Grandma for Mother’s Day! Great crafting idea to keep the young ones busy. The end product looks fab as well. Someone gave me some washi tape, I had no idea what to do with it-until now! I love Washi tape! What a cute idea. I love it.